Quick recap: Roger Rabbit, a toon, has been framed for the murder of Marvin Acme and it’s up to Eddie Valient, PI, to help crack the case. Fun (?) 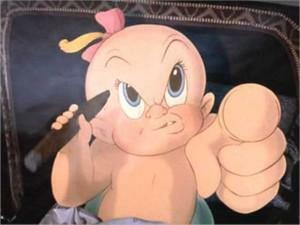 fact: This movie marked the first time Warner Brothers cartoons and Disney cartoons were together. Warner Brothers agreed to allow its most famous characters to be shown as long as they were given equal time as the Disney characters. This explains the scenes with Daffy Duck and Donald Duck playing piano and later on, Bugs Bunny and Mickey Mouse skydiving. It does not explain the 50 year old baby because where can you even begin? My thoughts: So. I have a confession to make. I don’t like Looney Tunes. I don’t know if this has always been the case and come to think of it, I don’t think it has. I remember owing a VHS of 50 Bugs Bunny cartoons or something like that when I was younger. But now there is no love lost between me and Warner Brothers. 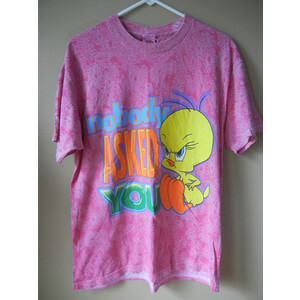 I’m going to blame ugly 90’s fashion on this one because at some point, someone decided it would be a good idea for cartoons to be used as a fashion statement. With that out of the way, I can honestly say that I didn’t hate this movie. Yay! From a sophisticated adult perspective, I appreciate the homage to 40s detective movies as well as to the classic cartoons everyone grew up with. I was also impressed with the way the director balanced out well known characters with new ones. It helped secure the image of ToonTown as a place where all cartoons live, big and small. I also enjoyed seeing the way humans and cartoons interacted with each other. This had been going on for years but a lot of time and effort was put into making the interactions even more believable. In fact, Disney animators coined the term ‘bump the lamp’ from this movie. 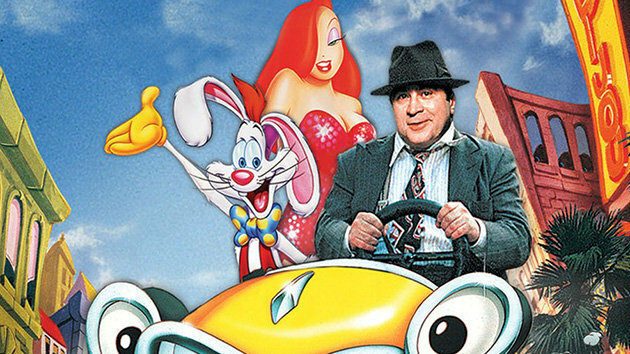 The term refers to a scene in which Valient hoists Roger Rabbit into the air while his head repeatedly bumps the lamp. As the lamp swings side to side, it casts realistic shadows on both the human and cartoon. The point is that even though 98% of the audience wouldn’t notice this, it added to the movie’s authenticity. 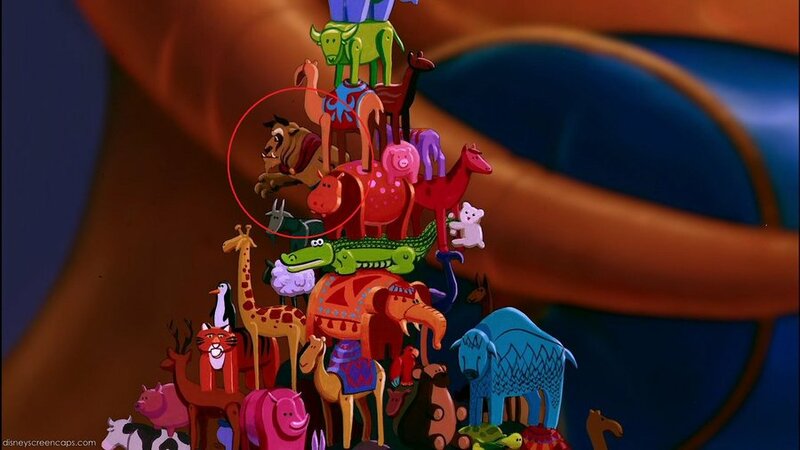 That’s why Disney and Pixar have always been ahead in the animation game, this attention to the most minute things. I’m sure I didn’t catch all of the little jokes in this movie, but I could tell how much work was put into the process. The one part that bothered me about this movie is that I could never figure out who the film was geared towards. 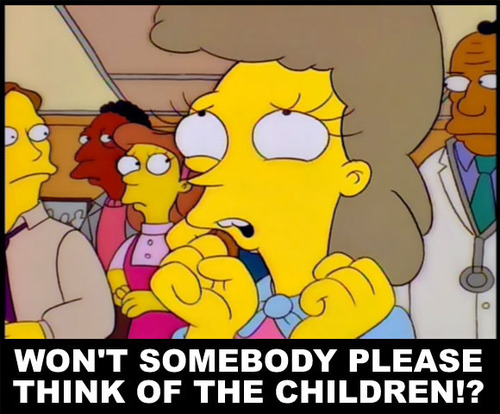 I mean, the movie is chock full of classic cartoon characters that children love but on the other hand, there is a lot of violence, language and innuendos. So, I guess the demographic was for adults after all, but then I looked online and found Happy Meal toys tied in to the movie. Final review: 3/5. I don’t think I would watch this again and I don’t know when I would show it to my son. But I can still appreciate how well this movie was made and how much thought was put into it.